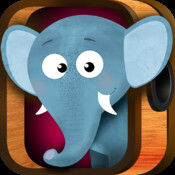 Appy Animals is now FREE for a limited time! 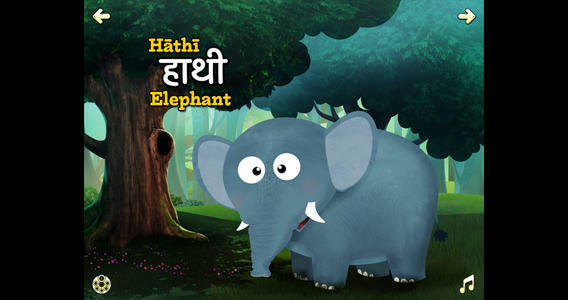 Let your kids explore the animal kingdom and learn their first words in Hindi with Alfie and Haathi and their Magic Bioscope! Don’t miss out, let the learning and the fun begin! 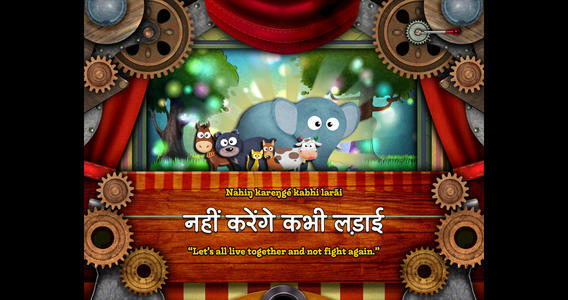 Get your kids learning Hindi with Appy Animals – an interactive, educational language app that your child will love. 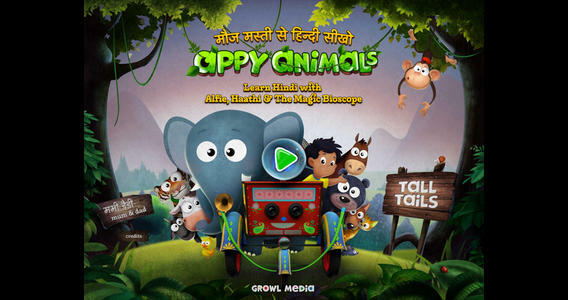 Your kids will have fun discovering the animals and learning their names, all while getting a feel for the sounds they make and how they move. 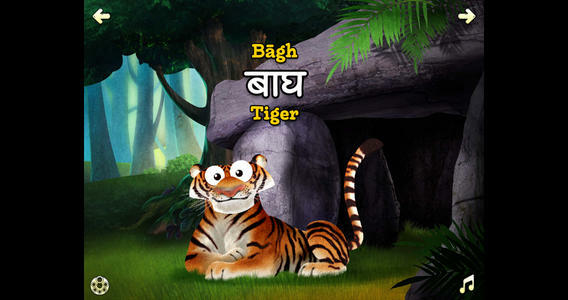 Each animal is accompanied by its English and Hindi names, as well as a phonetic spelling to help you teach them how to pronounce the words correctly. We’ve got an interactive game, Talking Heads, that will keep 4 out of 5 kids mesmerized long enough for you to get a quick shower (99.5% guaranteed)! 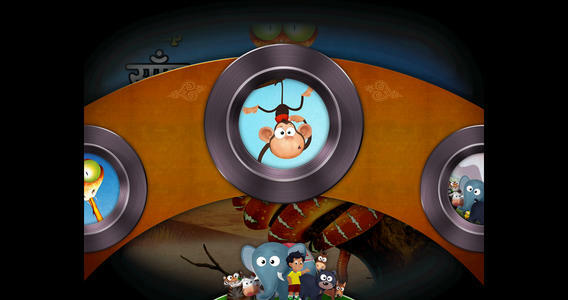 Talking Heads is an object and shape matching game that allows kids to drag and tap the animal’s faces into the appropriate cut-outs. Every correct match triggers positive reinforcement. Swipe feature in the Tall Tails nursery rhyme – we got feedback that the turning cog on the nursery rhyme wasn’t exactly child friendly. While it was pretty cool, we have to agree that it was a bit much. So, instead, we present the all-time favorite “swipe function”!